Our Patient Login allows you to access your pet's Patient Portal and contains information, including vaccination/wellness history and medical information as well as other valuable tools to communicate with our clinic and store additional pet health notes. To Login, complete the requested information at the left. Your Clinic & Client Number are located on your pet's Health ID Card App and Your Password is Your E-Mail Address on file at our office. If you have not yet accessed your pet's health information and need to Set-up Your Patient Portal, please contact our hospital with your Email Address and ask for our Clinic Number & Your Client Number (if you do not yet have it). 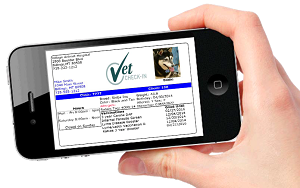 And, if you do not currently have the FREE Clinic Pet Health ID Card App go to the link on our website and order one. If you prefer to purchase a hard copy plastic pet card with the same information, please call and ask our staff to order one for you.